The main entrance of The Mizpah at night makes it easy to believe there could be some “extra” guests staying there. If department stores can begin the Christmas sales in August, beginning to think about the ghosts and ghouls of Halloween in mid-September is hardly a stretch. The mobile haunted houses that will be springing up in a week or two are great fun for teens and the younger crowds, but some of us prefer to search for the real thing. A real haunted hotel, The Mizpah Hotel, a few hours north of Las Vegas in Tonopah, is a great way to blend comfort with the paranormal. The historic Mizpah Hotel was once the most luxurious and modern hotel in the southwestern United States. The hotel was nicknamed the “Grand Old Lady” for its refined elegance and upscale atmosphere. In its heyday, the Mizpah was known across the country as one of the finest hotels in the west. Wyatt Earp and Jack Dempsey both have connections to this old hotel, it was the tallest building in Nevada until 1929, and it even had the first electric elevator west of the Mississippi. 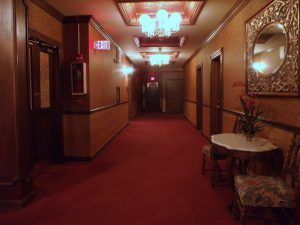 The Mizpah has its share of ghosts and has even been featured on a few paranormal investigation shows, such as Ghost Adventures. The Lady in Red is said to haunt the entire fifth floor. Legend has it that she was murdered in the hallway. Legend has it that the Lady was a kept woman who lived somewhere on the floor. One day, her benefactor had left to catch a train out of town, but the train was cancelled. He returned back to her room only to catch her with another man. An argument ensued, concluding with her death in the hallway outside her room. Inside the Lady in Red Suite. The Lady in Red has been seen gliding around the hotel ever since. If she is fond of a guest, she is known to leave pearls in their bed. The Lady in Red Suite is named in her honor, and the room certainly does her justice. Even though it is not the room that she inhabited in life, she favors it a bit more now, likely due to the period furnishings and overall beauty of the suite. The spirits of a few children are said to roam the hotel as well. Their presence is a bit of a mystery since no children are known to have died there. Donna Otteson, the hotel manager, believes that the children may have died elsewhere but chose to return to the Mizpah because of happy memories they may have had of the hotel in its heyday. We will likely never know for sure, unless they decide to tell us someday. Regardless of how they got there, guests have complained of hearing children running up and down the hallways on nights when there are not any children staying on the floor. Tugging at the back of shirts and unexplained giggling are also attributed to their antics. The children are a curious bunch; they occasionally ask the maintenance staff, as well as Donna, what they’re doing. The transparent shade of Senator Key Pittman has also been seen drifting about the property. Sen. Pittman is believed to have died in the hotel, just before the election of 1940. Not wanting to forfeit the election, it is rumored that his party kept his body on ice in a bathtub somewhere in the hotel until after the election was over. As it turned out, he did win the election and his body was then sent for burial. The 5th floor hallway where the Lady in Red is believed to have been murdered. This story has been challenged. Nevada historians now claim that Sen. Pittman actually died in Reno a few days after the election and that the “body on ice” tale is just that, a tall tale. Donna says that she has met with aging locals who remember the fateful election, and they confirm that Sen. Pittman did in fact die in Tonopah. All of the spirits at the Mizpah are generally benevolent. The most malevolent experience guests have complained of is trouble sleeping because they felt as if someone were standing next to the bed watching them all night. One thing is for sure, staying at the Mizpah Hotel is like stepping back in time to the glory days of the late Victorian era. It is great that this piece of history has been saved from decay and is still open to the public, unlike many other sites around Nevada. 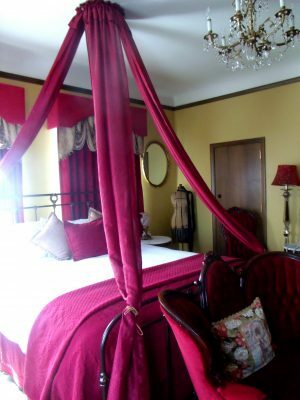 For reservations or more about staying at The Mizpah, visit themizpahhotel.com. Be sure to check out its entry on roadtripamerica.com as well to plan your visit! Good stuff. I love this sort of thing. Worth a visit there I do believe though also looking forward to a trip to Amargosa for the same reason. Incredible Hotel and Town! 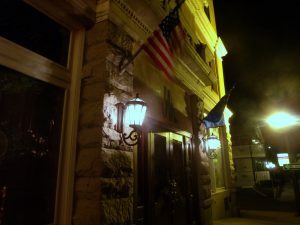 Definitely worth checking out for both haunted and historical findings- I, my husband and friend have been here two times and stayed in the Mizpaw hotel and even did an investigation with a spirit box in the hallway on the 5th floor and we have some female voices that were intelligent responding to us. Our friend was touched on his legs feet and back all throughout the night and while we were speaking to one of the caretakers the next morning there was a door in the background continuously opening and closing all by itself, we checked it and there was nothing that should have been causing it. The elevator seems to have a mind of its own and comes to our floor opens and then closes and goes on its way and the staircase going down to the main floor has a bit of a scary feel to it as well like you are being watched and even chased sometimes. the food is sooo good in their restaurant and the people in the town are very friendly and warm- I highly recommend visiting and staying a couple nights. We missed a connection to Reno this summer and were forced to drive from Vegas. We didn’t even start driving until 10:30 and were exhausted by the time we got to Tonopah. At 2am, the other hotels were either full or not an option. The Mizpah had rooms and we were desperate. We knew nothing about it and I laughingly told my husband the place looked haunted. The next morning, we talked to the couple traveling with us and they told us they’d heard glass breaking as they got ready for bed. There was no broken glass anywhere, but they found ice cubes on the floor. They had no ice bucket or cooler in their room. I was so glad that we did not know of the haunting until the next morning and that we weren’t the ones visited!